The visit that Greek Prime Minister, Alexis Tsipras held in Skopje yesterday has triggered a debate and was also commented by presidential candidates during the meetings that they had with voters. 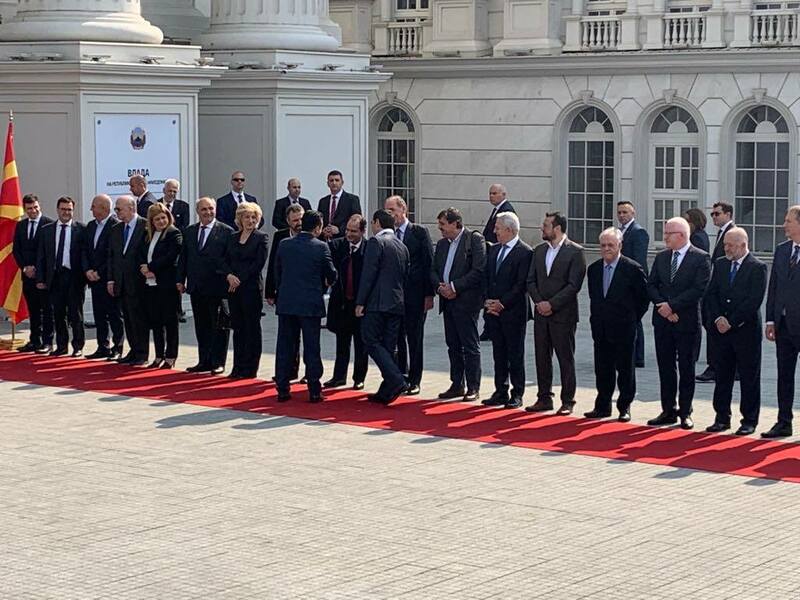 VMRO-DPMNE presidential candidate, Gordana Siljanovska-Davkova was critical about the fact that the national anthem was not played and the Republican Guard was not present during the welcoming ceremony of the Greek PM. “Instead of representing the country, our Prime Minister forgot the national anthem. This shameful act shows who he truly is and what sort of government he represents. But we can never accept the sort of government he represents”, Siljanovska-Davkova said. VMRO-DPMNE candidate also said that she does not recognize the Prespa agreement and that she will do everything to abolish it. Governing coalition presidential candidate, Stevo Pendarovski said that PM Tsipras’ visit is historic, because it contributes for the stability in the region and a fast economic development in the country. “Prime Minister Tsipras’ visit is historic. The new friendship that the two countries are forging with each other not only strengthens relations in the Balkans, but it also promotes a faster economic development in the country. Today we proved that if there’s will, leadership and vision, important things can be achieved”, Pendarovski said.